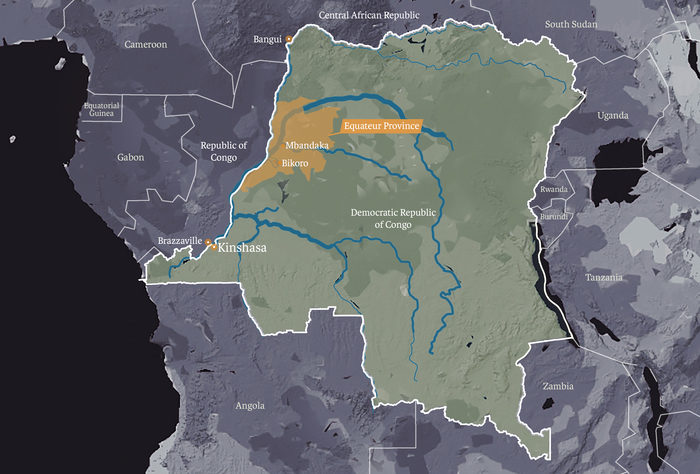 In the DRC’s western city of Mbandaka, a Bonny and Clyde robbery took place during May 2018, not from a bank, but from a medical facility where patients with Ebola were being contained. Three patients with the virus were snatched by motor bikers and driven off to an evangelical church were the minister claimed he could rid the patients from the virus in the name of Jesus. One of the patients died later that evening, and a second shortly thereafter. God only knows how many others have been infected by the third. The incident raised wider concerns and the government, churches, schools, radio stations and NGO’s chose to act. The Catholic Church and other Christian denominations are playing an important role in educating their congregations and wider society on how the virus spreads and what needs to be done to contain it and prevent another epidemic from which the region is still recovering. Writing for the news agency IRIN, award-winning Congolese journalist, Issa Sikiti da Silva, has an in-depth article reporting the robbery incident and the battle being waged to counter those who still believe that Ebola is a western myth with the aim of controlling the populace through fear. Da Silva’s powerful article may be accessed by clicking here. One of the most hopeful aspects of the story is how schools are raising awareness about the dangers of the virus with songs. Through this medium, reinforced each morning as the children enter the school grounds, they are taught the importance of hygiene in containing the virus and the need to reduce physical contact such as shaking hands until such times as the authorities declare the genie is back in the bottle. You may view a France 24 report on what schools and churches are going to contain the virus by clicking on the video below.